The Fiberglass No. 8001 model case is a step-up model that brings an increased level of customization and luxury. Lightweight fiberglass shell, durable hardware, and suspension interior, the No. 8001 provides reliable protection for all instruments. 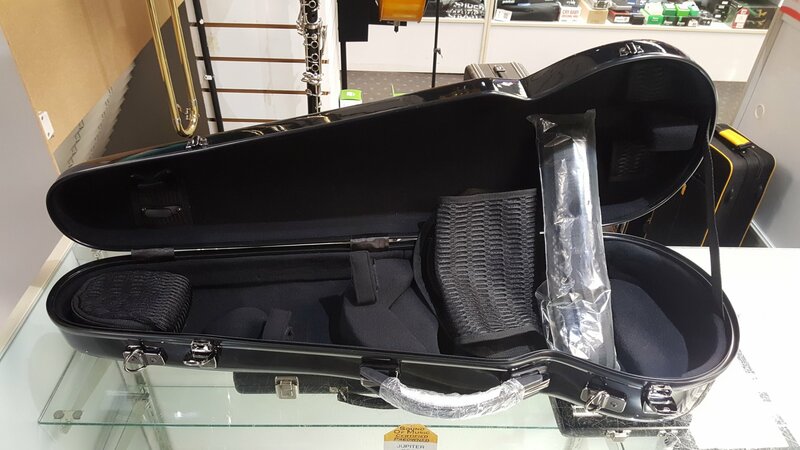 Features include: interior zipped detachable accessory bag, velcro strap for shoulder rest storage, two bow holder, instrument blanket, shoulder and backpack straps.